It’s that time of festive season where I’ll be playing Christmas music. This year is a bit different in terms of music format as I decided to play J-POP Christmas songs on CKCU-FM. After a debacle from last year’s radio show where I played Christmas UK #1 songs, it’s a better way to play it safe by choosing Christmas tunes from the Far East. Played were Cream, B’z, L’Arc~en~Ciel, BoA and KinKi Kids. For Cantopop, there was Lonely Christmas by Eason Chan as it’s become part of the yearly Christmas playlist. As usual, I was joined by Lauren as we decided to play through the festive tunes and it’s her last live show for 2013. She will still be on the air for the year end countdown show. We were joined by Erica who made a surprise appearance. 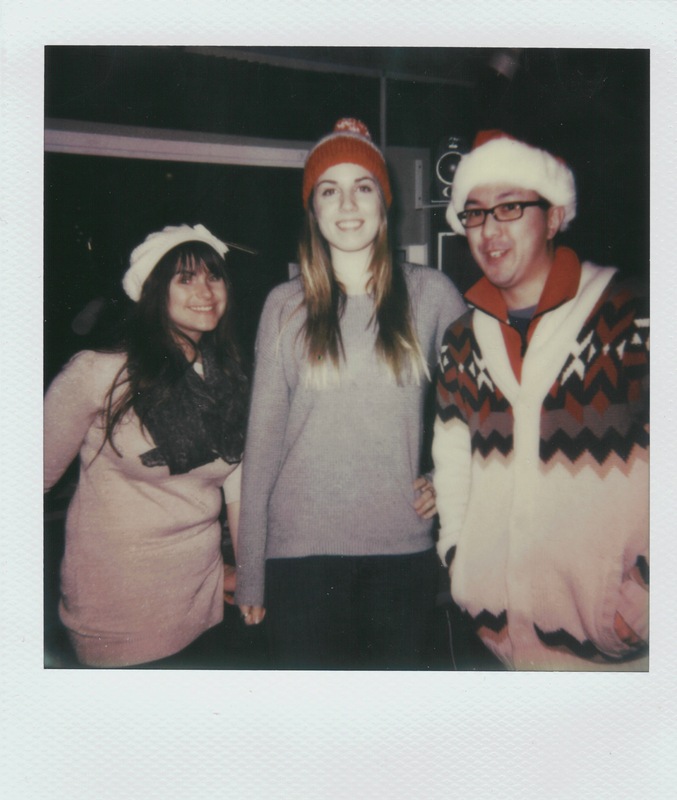 We also had fun taking some instant film photos using The Impossible Project film to the Polaroid camera. It was two hours full of fun music and wearing Santa hats. The playlist can be checked over at this link. You can also listen to the audio below. It’s back for another year. It’s the WildWorks Top 50 of 2013 for Canadian indie music. Lauren and I had the opportunity to go through the best of Canadian music of 2013. There were some excellent albums this year. This is part 1 as we counted down from #50 to #26. The list will be posted soon. To Erica and Lauren, have a great Merry Christmas! The WildWorks Top 50 of 2013 – Part 1. Press play to listen.